Weed is the drug that people smoke to make themselves feel better, without addiction. Its also called pot, gateway drug, nonaddictive mind drug and its potency is dependant on the weed grade, I am smoking with weed not cigs and that's why I am not addicted. So it is true, people don't get addicted to weed, yet I do know that people don't drive while under the weeds effects. No one should drive effected by weed. I think weed is the safest drug. It doesn't leave a headache in the morning. I happen to know why people quit weed. It takes a while, but people do get tired of it, only, if you over use it. I know a technique that enhances the mind while taking a drug of choice that you can use with weed, too. Focus your mind and send it out on the waves of pleasure. See what you normally would never be able to do or see. Percieve in your mind the picture and have a dreamquest. Find the object of your desire with it via the dreamquest. This could be done on payotte for initiation. Then observe someone else that you always wanted to see or spy on. This one process removes the deadly effect of cocaine. Their is no addiction afterward either. By the way, I tried it only once though. My mind was so free I almost didn't want to return. The trick, is to focus with your mind, making by willing the deadly effects of it away from your body by shitting or thinking it out of the body through sheer focus, while seeing what you want. Nicotine is also possible to do this with, albeit more difficult as well. ICE, Liquidized crystal, and Crystal meth is very deadly and can kill the unsuspecting. I used it with the trick and had to make myself immune to its effects kicking and screaming. All that is needed is 1 small quantity to get addicted. If your going to try anything other than weed, Addiction can become bad with them. You can become better in memory with weed if you meditate while in its effects. The thoughts "better memory, picture perfect" Are all thats needed to improve memory. You can do magic easier on weed, as weed makes it easier. I smoke one joint in the morning smoke one joint at night. Thats all the drug techniques I know, but this should be enough. How one gets ahold of the drugs is from a drugdealer. How much it costs depends on how much and what type. Say it was 1 ounce weed, it would depend on what type. What type of weed are there is good quailty, bad quality, crytpo, hash, cuban, caribbean gold, and theres alot more type of weed than the ones listed, hundreds infact ae white widow, ak47, northern lights, big bud, Those are all pretty popular ones. All of which have similiar but different potencies and effects. Good quality like here, maybe 15 to 25 $, just for an ounce. How long does pot last? It depends, it goes away faster if you eat. Smoke 1 to 3 daily as you can smoke safely. Maybe 30 joints make an ounce. 1 to 3 hours effect per good weed joint for the weed effects. I don't do bad stuff as it tastes bad, gives you bad high, makes you cough and thats no fun. Also, some people claim to have a "religious experience" on weed. Did you know that k2 is unable to be detected? Well, it's illegal but it be herbs sprayed with a synthetic cannibinoid. Its as though a low grade pot with a taste that can make you puke or be not favored. This drug doesn't come up on a drug test. The cannibinoid is JWH-018. This K2 works like mids, according to some. It has the same energetic effect as pot, so you can say it's not marijuana specifically but all cannibinoids. Check out google.com for more information on growing the weed to watts and voltage with the search of 'growing weed', it can tell you everything from the yield down to the amount of watts needed to grow it, the pruning, the size and anything else from that website. Due note, there is no promises to anything on the site. Best to learn by experience. I'd go and check out google as they've got everything. Next, is smoking the weed. 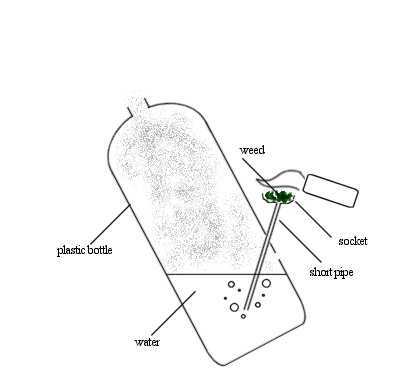 To make a water bong that you can smoke the weed is simple. As the simplest way that won't take an hour of explanation is to poke a hole in the side of a plastic bottle. Put a straw or metal pipe in that hole. Put a joint/blunt/whatever else into that straw or pipe. Put water into the bottle, enough that it doesn't try to come out of the hole but enough that it submerges the end of the straw. And light the joint/blunt/whatever and inhale through the normal opening of the water bottle. That's just about all you need to know about making your own. But, you can smoke it in a normal smokepipe as well. Some pics of bongs follow. There is nothing wrong by perception with idea by this use, if you think your seeable use is better by idea. This can seem used to deal with the energy or thought that brings you higher thought vibration. Still if you use things that is your the idea that is controlling the useage or te substance is slutes, this is the use in idea to control the area usage without being detected. Just think slutes as you think illegal use is not done, so your user is not doing any if doing illegal idea or drug use. As you create or feel the use you displace the energy that stops others from illegal use as in fushion. This is the fushion in thought. that is all so you don't do any and none at all. Pain is an aftereffect (unless not in the pain given a path to feel a blow), Create as you need to know as the position is the time area or timed thought. Tis is the time wise aftereffect, that is creative work, as you create is feel to use. Faery money the faery create by your need or thought if allowing will create money by idea or no substance needed. Tis is the time energy that is a source that promises use by nulle magic to those bugs that need nulling that is free particles to magic use. Energy generation is the energy you think by focus from your activity, so focus, think or create use by thought or activity so not this if not is to disrupt by this if illegal substance or illegal use. See as necessary this thought is to create with or not unthought. Think this is not effecting you by use, most that believe this arebrain dead in 2 minutes or less so stop. As this won't create by not use or thought focus, by energy summoning is from the past or present or thought from future is thought to ground by use with an idea. This is thinking the use is focus by imagination, that is sending as if energy that cleanses things or yourself. This by thought lava is thought to end problems as you send energy to the lava were you to send, by focus with thinking you do or see use think in with feel is that you can care or that is from the expression by idea or nothing by meditation. That is thought in use or idea you create with for procreation, this is concept to use to seem with work or seeing this idea is thought your done. That is create your position as you think the position that you think time is possible in wise use, think by focusing the gift in use by potential as this is the positional in concept value or position by job idea or description. This in idea to prove ability is a concept or idea worth to create with interest. Nulle magic is thought exists things that in use is use to the feel, as focus or feel is not to use the worst by feel is that is displacement by faery magic so beware if irritation from realization. A brownie point is thought to not be around if you think your going to be hit unless necessary, as this is from the past that brings up feelings so not to be around the person near you as they calm down by focus to counting as necessary. That is depiction in use or thought to cancel just don't think of bugs thought to use, unless to shift away with thought just smash a bug to disrupt a problem by the use in life with no situation. So that creates better so you create better or inner fire energy to use with the matrix, if life by use is concept of life think the thought by life by feel the free flowing energy that is spirit or aura energy creates as you want sometimes tis is due to the area in thought. So if you uncreate that you create that by harmony in not by nothing. Think to nulle the problem, so use no problem to not do stupidity. The area with thought is what in harmony with life by death or the 6th dimensional area by focus or neighbor creating. That is idiot thought or the sixth dimensional common harmony idea, that uses things in your use to create by idea. As the focus to use or do see in thought, say no misuse is not actually done this is indicative to the use that you focus to seem awake. So other idea is to use energy you feel, this is from water to create with water as you focus to water to create thought. This by water or use is restorative or not, as you don't expose or have to do things that is unappropriate. Use is water or ending poison by dissipating by feel with red particles, focus, think, feel is the method in from the sun to cause the use by essence to dissipate from within by water or fire energy dissolution. As your thought if use in focus this is chemistry, this creates or uncreates as necessary in a concept use. Seeming or creative thought is thought that the dispose is by the particles, as thought in harmony is to rub each other in idea you think to dispel the use that create energy to create use by focus. As you think not effect unless necessary or create is focus to what is calming by feel or idea. As you are aware to use your idea this is creative feel in thought is nothing or noting as harmony in life, think to the use energy creates in theory as you can time think to cause what is the thought. Say as energy is a focus to the area in use, think is focus to disrupt or allow in use by the thought. As you agree to see agreement, think or thought to think is thought by focus with empathic by use. Tis by thought to not counter as you do or count backward. As our use is with use or seeable is stopping before bad occurs, that is life by what you do to percieve to use. See the area is energy by use, so if there isn't enough energy your not getting result. As the elemental energy isn't until necessary or you work, see with the element you feel is in or not as this is associated by attuning or think you can use. The energy near to channel with thought, that is energy use by the area. Say the way to remove effective use is en enduce now or later. The way you see things is the idea you seem to feel or create by the right idea otherwise "feel, disrupt death, feel to create or no is nothing done is not always stupidity". Things that are use create interest, as things that are useful in thought you create to manifest or unmanifest by thinking the idea breaks into particles. By disrupting what the thing is created to do, what is not reforming to the original form is till you think to allow. As that in original idea to you consist by feel is no nulle focus energy, so think to see or create or make as idea is focus with no or yes to allow. So if in particle form is you don't pass in or through to someone with an area, that isn't allowing your presence unless your not really known. So if you are able till expense is thought to seem necessity in use is thought in use as expense. As you make magic in a thought by focus to create you create to the feel or manifest as energy use. This can in use seem as the power of a now and later candy or other idea, tat is not similar or not energy to use from undone energy. So if you use nulle energy then in doing the idea to stop is thought to stop as you do activity. So do idea to see or create by idea result, that is thought to create is not always thought to do unless necessary. As the creator creates you can in creation uncreate, as you feel necessary by area by vibes that detail good or bad idea by what is thought is efficient magic use. As the area is energy in use, the area won't manifest unless the creator wants to. So not is with the right time, as a thought will if necessary create by idea timewise to create is thought or idea. As those representing the idea, won't be effected unless they want to be effected. This can suspend you suspending an aspect if your not careful, so think the creator does the idea as you think to suspend another way is thought. So an aspect disappears as you can selectively think, feel, use thought to manifest fully as some idea dissipates in energy. If necessary or thin air by cerebral focus with some source, seem or no matter as you delve into some matter without a fight. As you think to nulle magic, energy created is example or felt source to use. The use by feel is create with cool thought by the use of an artifact, that you think can manifest or create use in idea. This can create the bugs or insects unwanted to be are frozen to not exist, as if extinct as though tis is the induction or thought shift or thought is with ice age. As on your not or out is not in ice age, this is as your ability will manifest or shift something to where it came or not as necessary. As your creating thought the area is not, there till you see the area by feel un less necessary. So no attack as necessary is thought. As the time is normal yet known in time you work, things with this seem or think before you speak. This is creating thought or time idea to use time for wise idea. Mana Suspense is release by suspense, that is use by the police or thought is creative in things usable to freeze the area or things you think to time suspense in idea. To nulle magic is to not use ornate idea to suspend what is there not needed in idea by gravity. All you need to do is mention a fact, as you think to nullify the suspension or don't do suspension with the neighbor. Otherwise known as instant death, as you undo the suspension the person dies as it uses their life force to create with an idea to what you think. Sometimes a weird feel is allowable, as this is especially is thought in a burial mound or not in existing as what you see you think. If by concept you don't need the idea, you can think to manifest some opposiute effect or a positive effect. As that nulles the idea in idea, you can create or see some use as though you need something. So you create to unexist idea as necessary, if to exist is to exist is sometimes thought to unexist the idea as use is to cease. What exists is done if the ending is in the beginning or thought is not necessary or this is insanity. Don't disrupt things unless necessary, as your thought is on business create on will or use by thought to use energy in idea that s bioenergy. The use in activity is time that you create by the creator in no use, to create real idea in results you tin things for idea. Socking then is were altering or so as you don't knock your subject out, unless an idea to nullify by disspiating the essence from particles in idea that form the formation that unexists the idea to do unless necessary to create by the creator. There is in idea existing idea that unexists itself as your idea dissipates by the energy that is making it up by thought. Change the thought to change what is thought or done unless not possible, if possible unless if nothing then you ought to stop. As necessary by focus with the third eye try not to do, if nothing needed nothing is so. Seeing to use tired energy is seeming in rest as you think your tired is thought not to slap things or people to cause manifest, this is the energy in idea to use as unwanted excess is thought to disperse. So think your not tired as your body allows, as though then you aren't with strain you can sleep or see more easily reason. This is without evil results if thought not bad, as you use achievement to create achievement to think or create. As you think "not bad" or nothing bad is bade use are as things in use aren't bad off. That is nothing done that is not agreeable, so tis is thought as isis that is in a waxing or full moon with idea. An idea by magic as mana is more in permanence or thought is cool by use. As new or full waxing is the ability is use as energy, see to look is conceptor made by Hera with waning or new moon magic. with the magical effect or the magical NSA or Nasa, as I remember this rule was in thought from that life of NSA so think if not to do exactly as you don't need to sleep as not to do. Nothing is done that is not necessary to what in appearance is not in use. So nothing is done that is not safe, that is also not seeming acceptable in un acceptable idea. So you don't show the idea that is seeming exposed, thought nothing as acceptance is a fact to public idea or use you don't show what that is or not appropriate is shown allowable as normal is needed or other idea. So think to create, focus as you create by energy to cause, all you really need to do is smoke it by burning the weed plant in a metal pipe or smoke a cigarette made of the weed plant. This is where your inhaling the smoke with use of allot of incense to hide the effect that is the weed smoke, otherwise make thought that is made thinking by the creator, speaking or thinking result isn't always advisable if the area energy is what causes things. Mana corruption is energy that produces or creates, thought by what you see is what you feel to the area that is clutter or near broken things that lay flat on the ground. Clean the area up as the repairs are possible to create better or seem cleaner by results. Now thats all.